You know that a politician is an “epal” (credit grabber) when you see his pictures in billboards announcing project status or continuously making a scene just to grab headlines and attention for the sake of name recall. However, “epalism” has reached new heights where pasting of politicians’ images is no longer exclusive to billboards and bulletin news, you see their faces on many things as if they are peddling merchandise items to promote a certain brand like t-shirts, ballpens, and even dining sets. However, one mayor up the ante and decided to elevate “epalism” to newer heights. 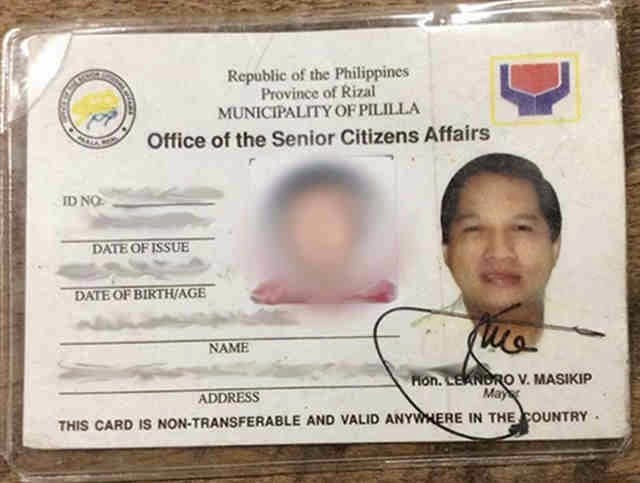 According to a report in Rappler.com, a mayor in one of the towns of Rizal province was accused of abusing power and inserted his own image alongside with that of the senior citizens card holder. Senior citizens of Pililla, Rizal have to contend with seeing Mayor Leandro Masikip's bigger picture along with their images each time they present their cards to avail of discounts. An ordinary concerned citizen of the municipality of Pililla has brought this attention by writing an open letter and it went viral on Facebook. What made De la Cruz mad was that the mayor was suspended on allegation of forgery while he discovered this mischief of Mayor Masikip. Jasper de la Cruz lamented that senior citizen’s ID is not a political poster and should not bear the image of concurrent mayor or any elected or appointed government officials. Many Filipinos would definitely agree with Mr. Jasper de la Cruz that this new “epalism” from Mayor Masikip is definitely hard to stomach. 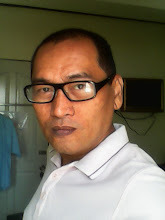 Personally, being an “epal” is a sign of insecurity and lack of confidence when it comes to achievements. This only proves that he does not have life altering social projects for his constituents; his programs probably are more on creating dependency to politicians which is perhaps the standard operating procedure when it comes to a politician’s projects. However, the blame is not limited to politicians. For as long as the constituents will ask anything from “erection” to resurrection and from “bawang” (garlic) to repair of “siwang ng bahay” (house repairs), there will be no projects that will make a huge impact on the lives of constituents. Trivial requests like those previously mentioned will just eat up the budget allotted per politicians. For as long as the Filipino voters will not shun politics of patronage, the “epals” will continue to multiply. Read the full story from this link.